The "Men in Black" or "MIB" are considered to be one of the most popular unsolved mysteries surrounding UFO sightings, and other unusual events. Throughout the years, the concept of these unusual men has intrigued individuals everywhere. While many consider the concept of the dark dressed men a legend, others consider the concept to be true. These dark clothed individuals are said to be a part of the many conspiracy theories that surround UFOs, and those that claim that they have witnessed an unidentified flying object, life forms from these flying objects, and other events directly related to objects, life, and events that seem to be from another world. In this guide, you will learn facts surrounding the unsolved mysteries of the Men in Black. The earliest account of the dark clothed men that seem to be related to events and witnesses surrounding UFOs occurred in the year of 1953. A publisher named Albert K. Bender made a claim in his work that he knew a secret behind the UFO phenomenon. However, he then claimed that three undercover government agents that were dressed in all black and a hat that was also black in color threatened him. While he described them as "men", he also seemed to feel as if there was something peculiar about them, something sort of supernatural in a sense. It was very difficult for him to accurately describe what he meant, but he let it be known that while they reflected the appearance of human men, they could be something else. This publisher had heard of the mysterious group prior to experiencing them, but had never given their existence any real credibility. He published information on an event that happened in the year 1947 that involved a man who reported various sections of a UFO fell on his boat and actually resulted in the death of his dog. This was referred to as the "Maury Island Incident". The man that this happened to was Harold Dahl. He informed Bender of the fact that a man wearing a black colored suit approached him the day after the incident and frightened him. He remembered the man was driving a brand new black Buick. His skin was dark colored, and his words seemed ominous. He basically informed him that it would be in his best interest to "remain silent" about the incident with the UFO. The features and descriptions surrounding the Men in Black are often similar according to witnesses. A UFO Historian Specialist by the name of Jerome Clark indicated that we should all know and understand that the MIB are not always dressed in dark colored attire, but for the witness accounts, this seems to be relatively common. In the earliest days of witness accounts surrounding this group, people often described the men as being "short", but as time progressed, they have been described in all heights. Many have stated that the individuals seem to have a dark colored tan, and they appear to be from a foreign region. This group is often described as wearing dark colored sunglasses and driving dark colored vehicles. 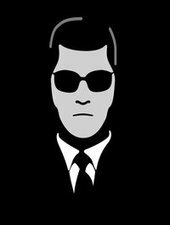 Individuals that have encountered the Men in Black are especially frightened by them due to the fact that they seem to have a broad working knowledge on them. In some cases, it seems as if the group knows the person that they are speaking to inside and out. The individuals have been described as being relatively quiet and others have been described as friendly and extremely outgoing. Many have claimed that they are introduced with identification and the individuals inform them that they are from a special agency collecting information on events that surround UFO phenomenon. In some cases, they state that they are from a military organization. Many have described contacting the military organization later only to be informed that they individual that came to visit them does not exist, they have another job rank, or they are deceased. The Men in Black are believed to have the technological ability to wipe or erase the memories of those that have experienced UFO related phenomenon. This technology is reflected in the Men in Black movies on the market today. However, it is believed that if this technology is real, those individuals that encounter the MIB would not remember encountering them at all, nor would they connect the Men in Black to the UFO encounter or eyewitness account that they personally experienced. Then, there are those that believe this group is not human, but alien or android based creatures. The MIB are known to find a fascination with simple, everyday items such as pens, language slang, and other devices which adds to the fact that they may not be human at all. It appears as if the Men in Black still are and will remain to be one of the greatest unsolved mysteries of all time!